Sakari is a text messaging service for businesses used to send SMS marketing campaigns, notification and alerts and handle this type of communication with thousands of contacts. 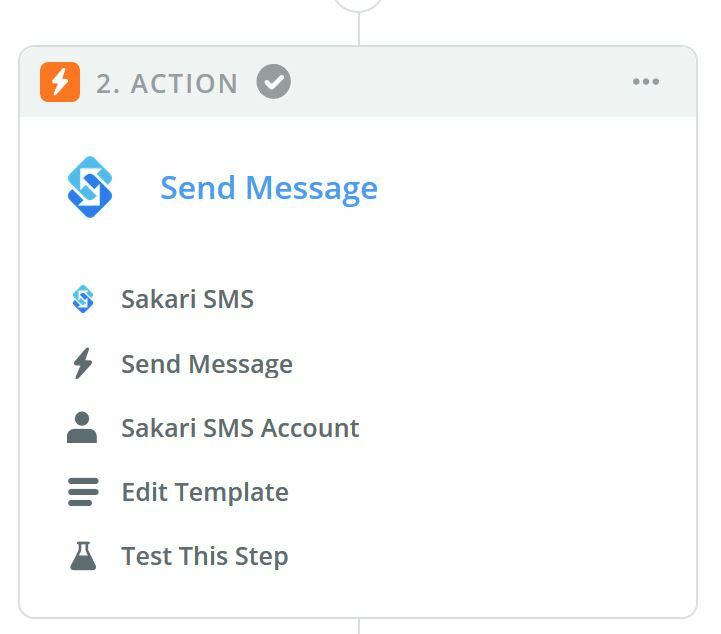 What makes Sakari unique is the ability to manage text communication in one centralized place and send personalized messages by using its templates. 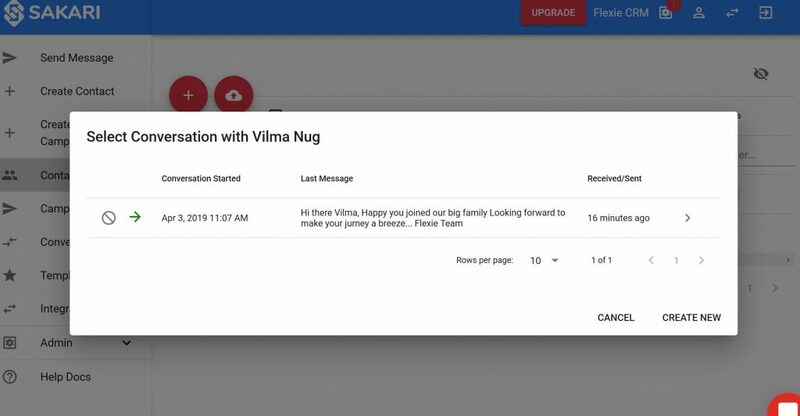 By using rich text messages you can link personalized page content to the messages you send. 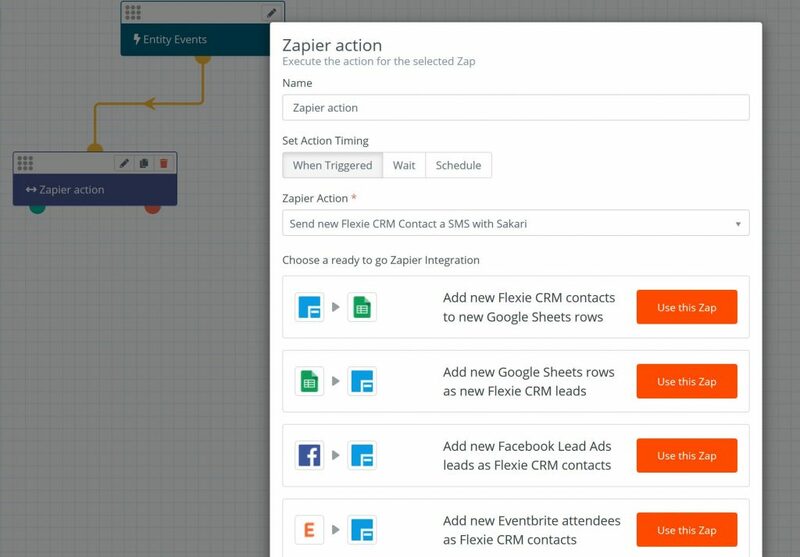 Sakari can easily be integrated with Flexie CRM throught Zapier. 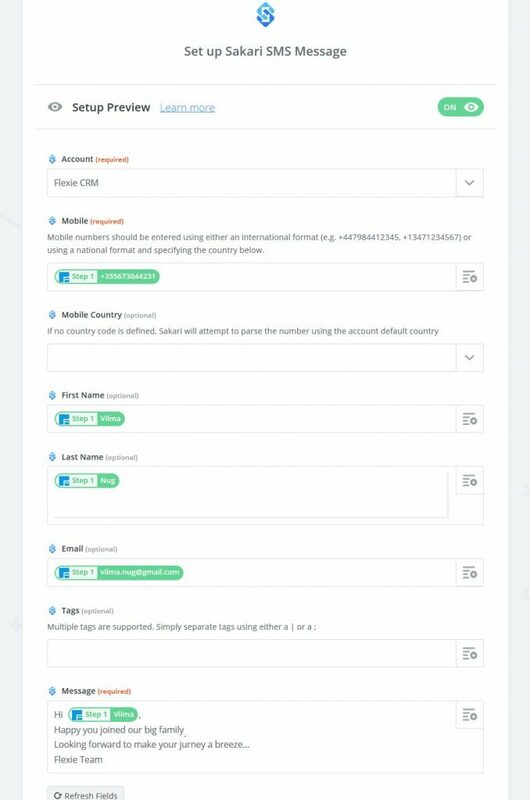 As a first step to this Sakari – Flexie CRM integration you need to login to your Zapier account and start creating a new Zap. A Zapier zap typically is composed of a Trigger followed by an Action. Select Flexie CRM New Contact trigger which will fire this zap when a contact will be added in Flexie CRM. 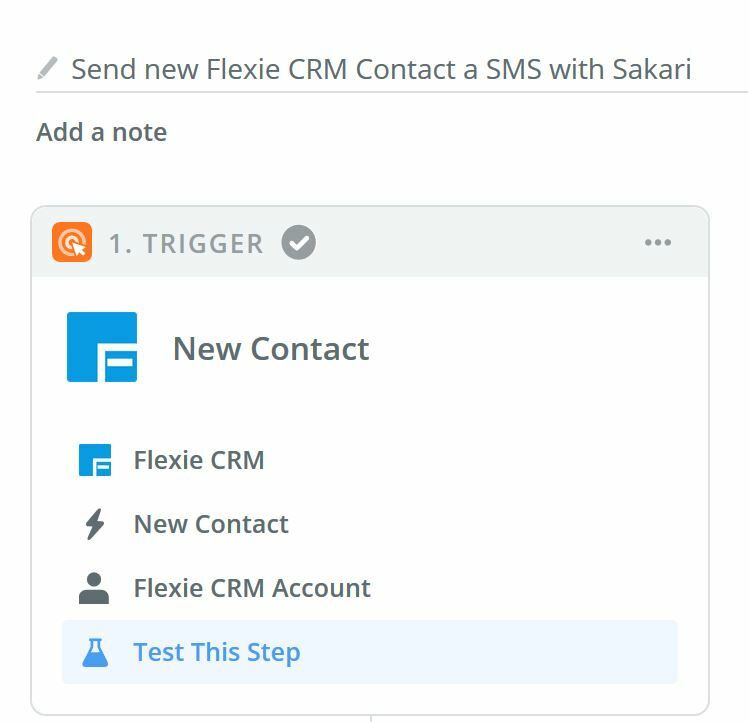 When you test this zap you will see that when the contact will be created in Flexie CRM it will be sent over to Sakari application and a text message will be send immediately. Note: To run the zap you need to create a Workflow to activate it. The Zapier Action in the workflow is the name of the zap you are going run. Instantly the contact will be added in Sakari SMS Contacts and a text message will be sent out. 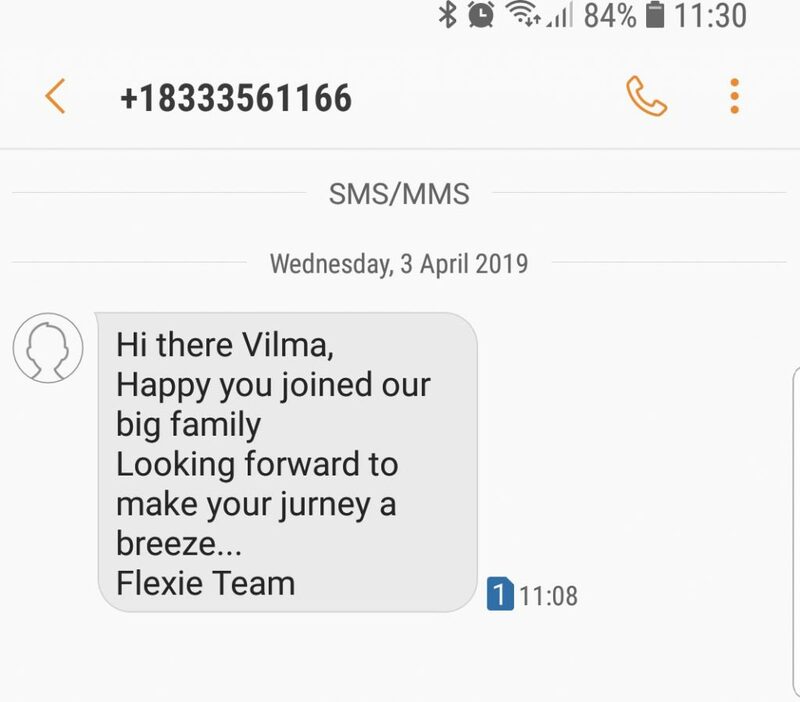 In this example we run the Send Message action but we can also just send the contact to Sakari and run the SMS Campaign from there. The contact will receive the text message on its phone.